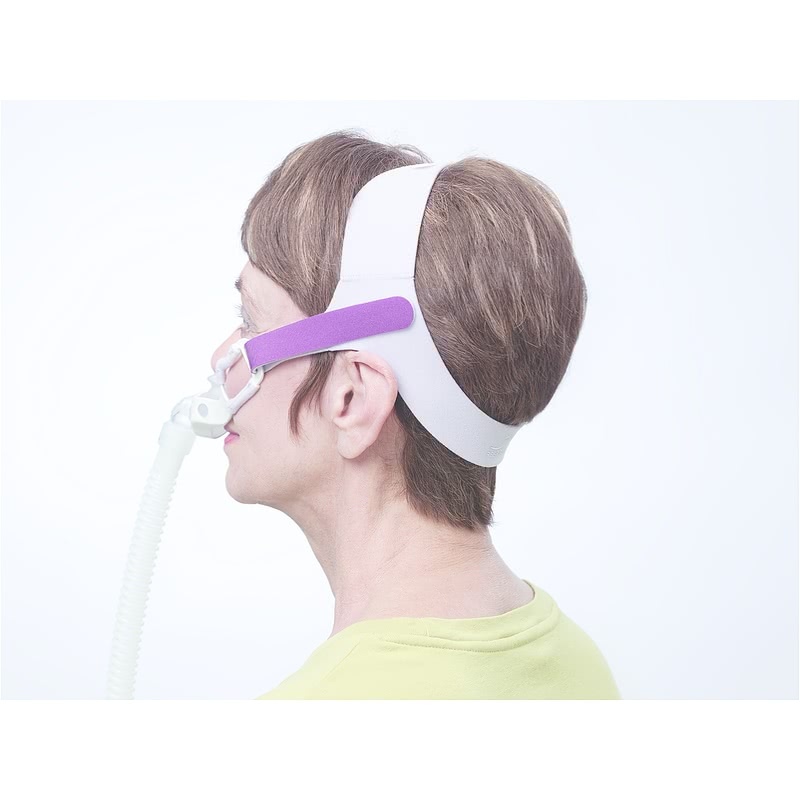 " I'm really enjoying the new headgear it doesn't leave any marks on my face and it is more comfortable to wear at night "
" It is comfortable and I like that the hose end is on a swivel which makes it easier to sleep. " Just like the GoLife For Men, the GoLife For Women is customized to fit the contours of the face. 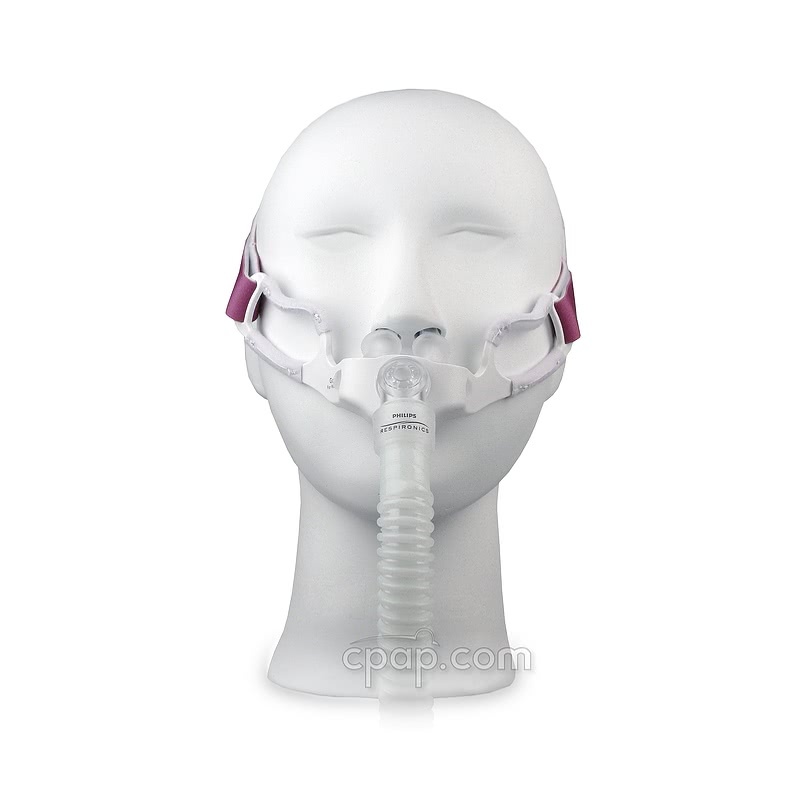 The GoLife For Women conforms to the face, which provides for an even seal during sleep. 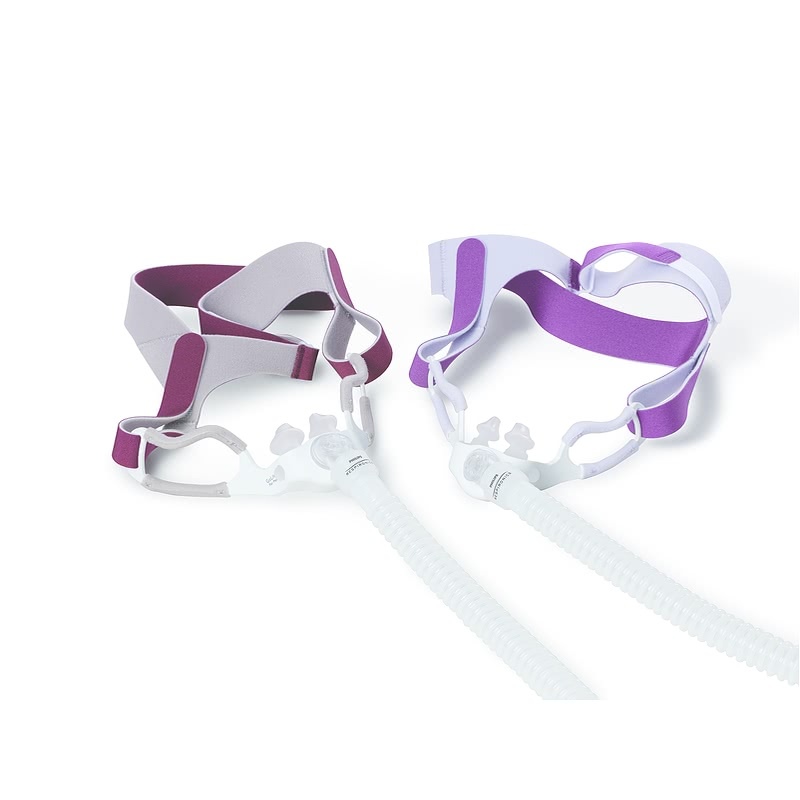 The GoLife For Women is similar to the GoLife For Men; however it comes with smaller, violet headgear instead of the standard blue version. 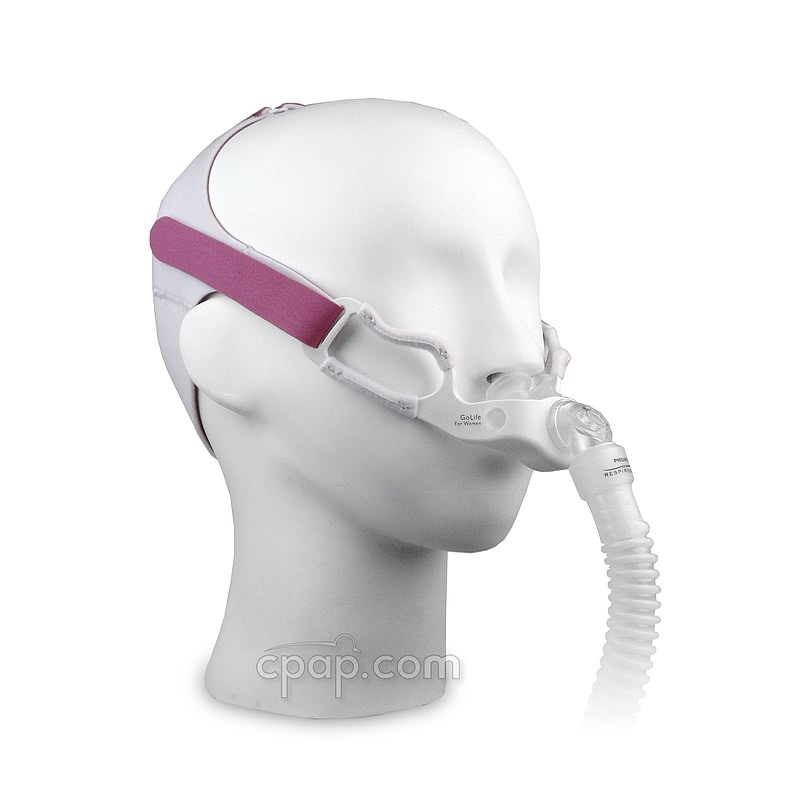 Designed Specifically For Women: The GoLife For Women Nasal Pillow CPAP mask conforms to the contours of the female facial structure. 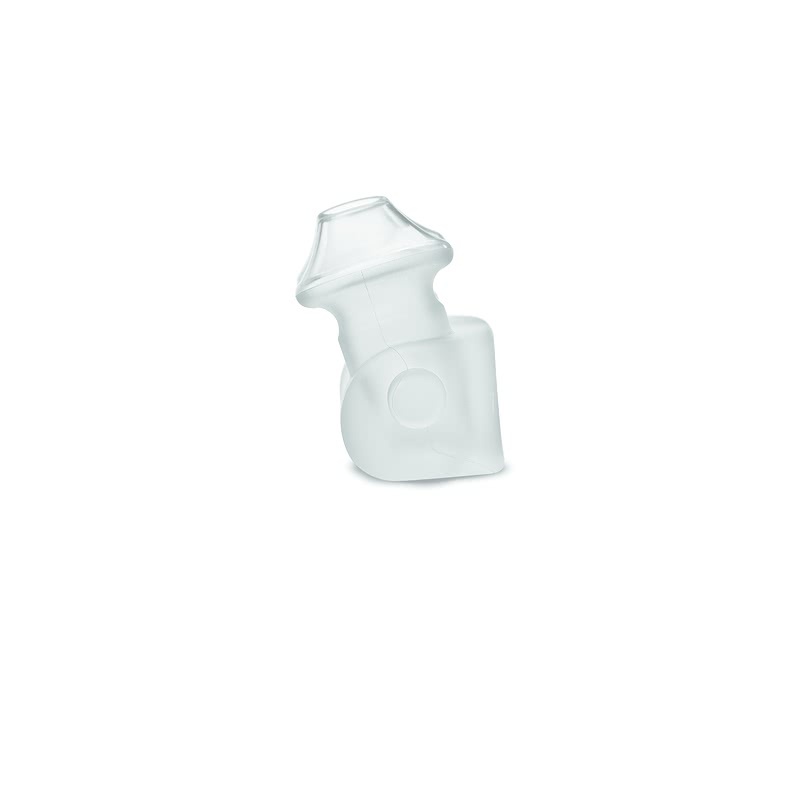 Self-Adjusting Nasal Pillows: The nasal pillow's self-adjusting, optimally-angled design provides flexibility and eliminates the need for manual adjustment. This flexibility provides an even seal that will be maintained throughout the night. 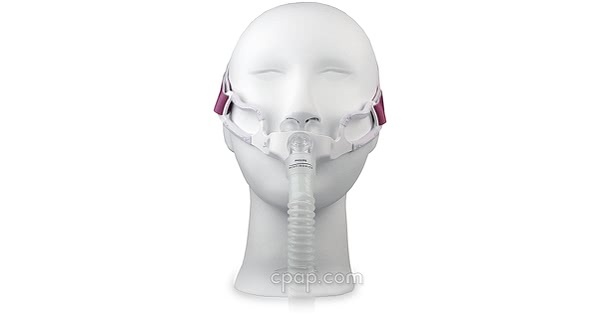 Quiet Air Diffusion: The exhalation port is designed to diffuse air in a quiet manner. 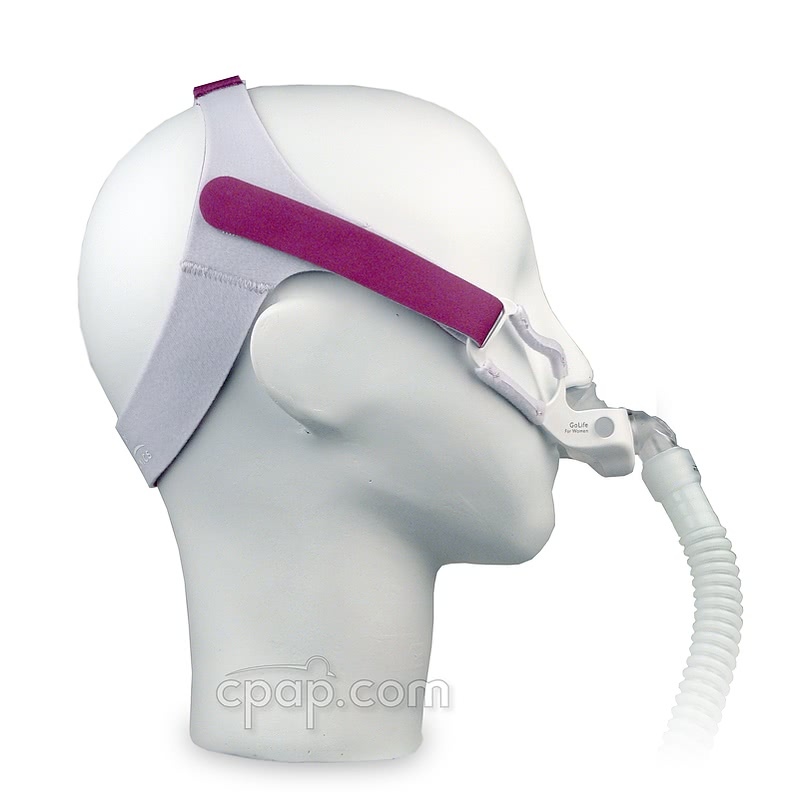 Simple Headgear: The headgear is is easily adjustable and is designed to provide comfort. 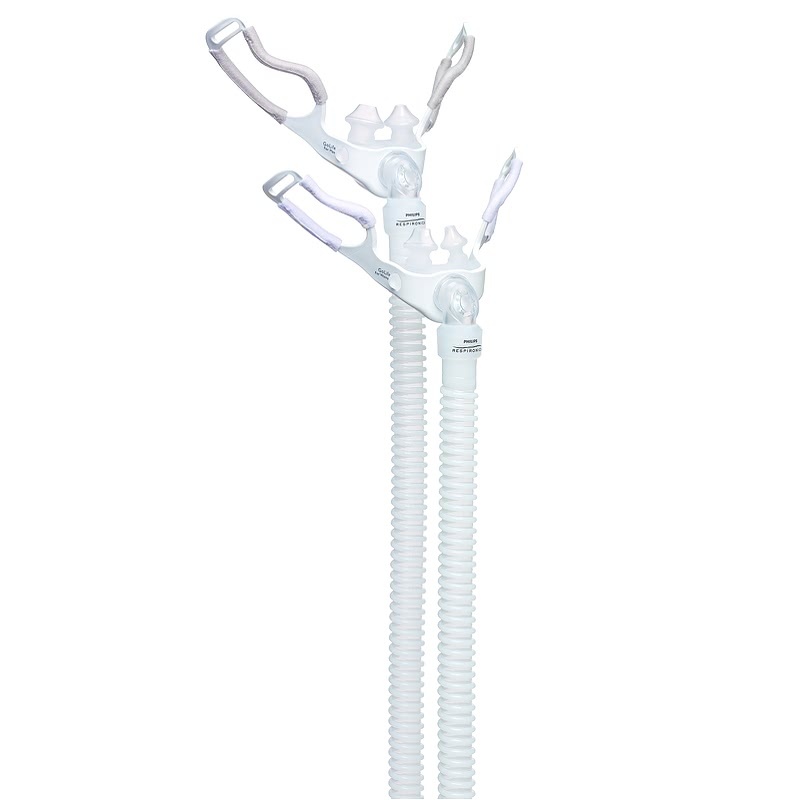 360 Degree Swivel: The highly versatile 15.5 inch tube (excluding swivel) comes with a 360 degree swivel that provides freedom to move around through the night while maintaining a steady seal. Multiple Sizes Included: The GoLife For Women comes with petite, small, and medium sized pillows included. Cheek Comfort Option: Looking to add a layer of padding between the GoLife For Women and your cheek? 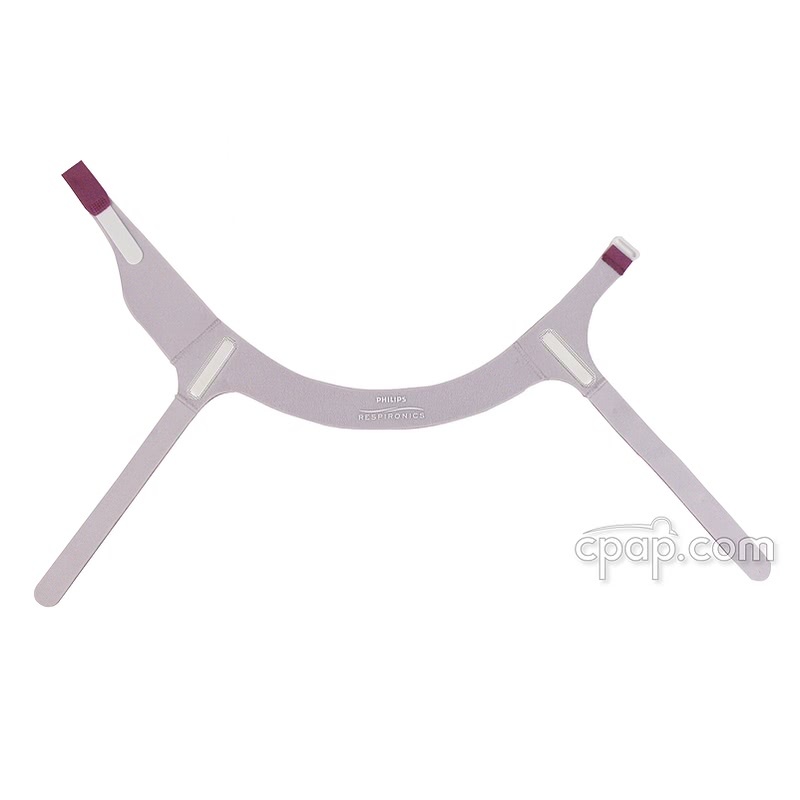 Consider the Pad A Cheek Pads for Swift FX™ Bella Loops. 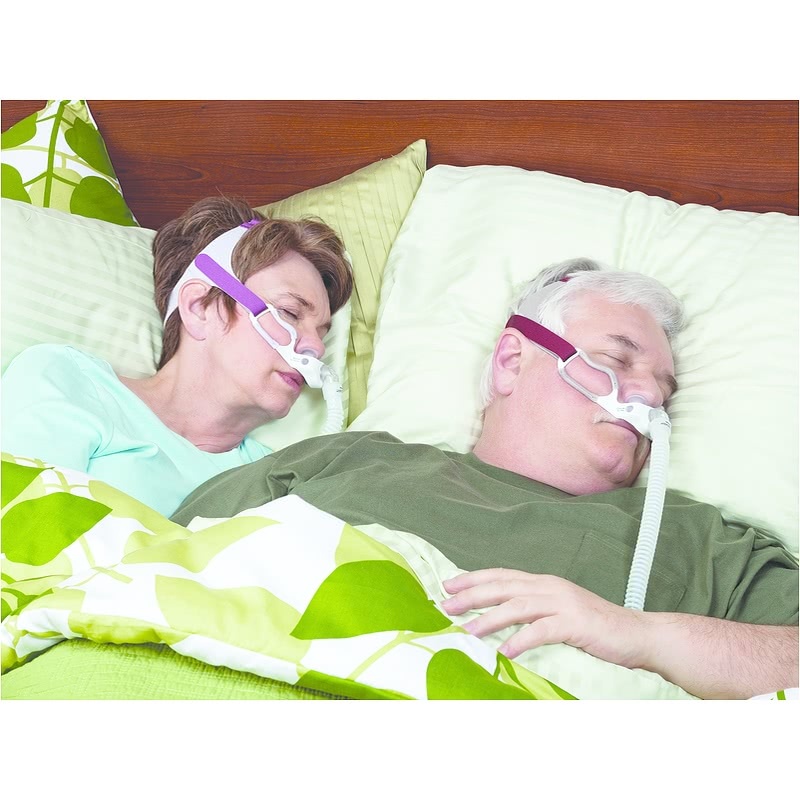 Although it is not designed specifically for the GoLife For Women Nasal Pillow CPAP Mask with Headgear, this product will fit over the cheek frame.